Welcome to your future – I’m about to teach you how to make the most perfect soft scramble on the planet and your life will never be the same. So… in an effort to prevent my poor husband from ever having to microwave eggs again… let’s break it down! 1 – it all starts with a non-stick skillet. Whatever kind you like – but it’s going to be key for clean up. 2 – you’re going to need low and slow heat. So, don’t rush the process. 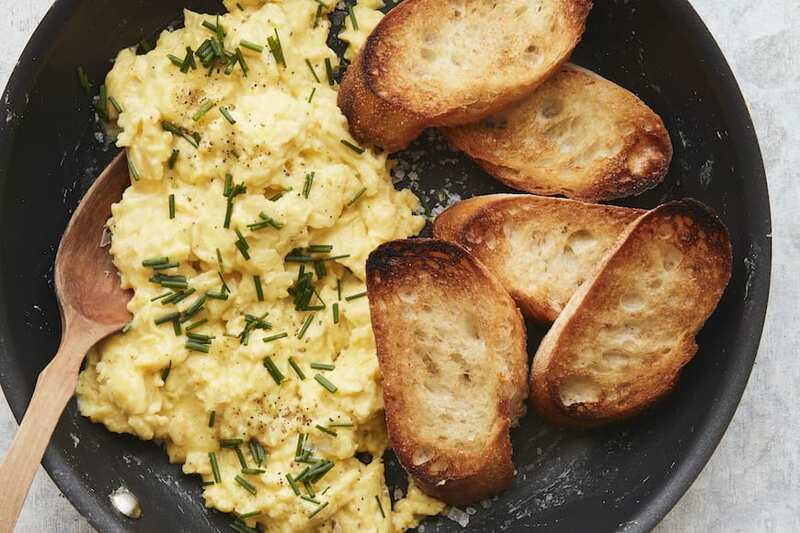 Good scrambled eggs will take a few minutes, but it’s 100% worth the wait. 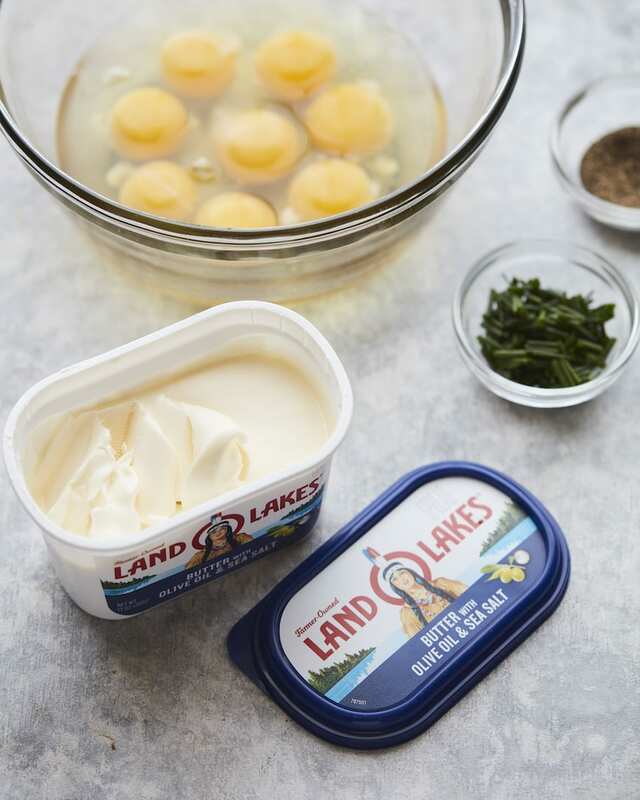 4 – now that you’ve got a non-stick skillet over low heat and the Land O Lakes® Butter with Olive Oil and Sea Salt melted and ready to roll, add your eggs — and using a spatula, slowly drag it along the bottom of the pan allowing the eggs to cook slowly and evenly. You basically want really soft curds. 5 – add some cheese towards the end. I usually opt for some shredded fontina. And make sure to add it while the eggs are still runny and continue to slowly cook. 6 – take the eggs off the heat just before they look done to account for carryover cooking. That means the eggs will cook for a little bit longer since the skillet is still hot. So, remove them when they look like they need about 30 seconds more and then place on a heat proof surface. Top with any herbs or extra salt and pepper and GET INTO IT. 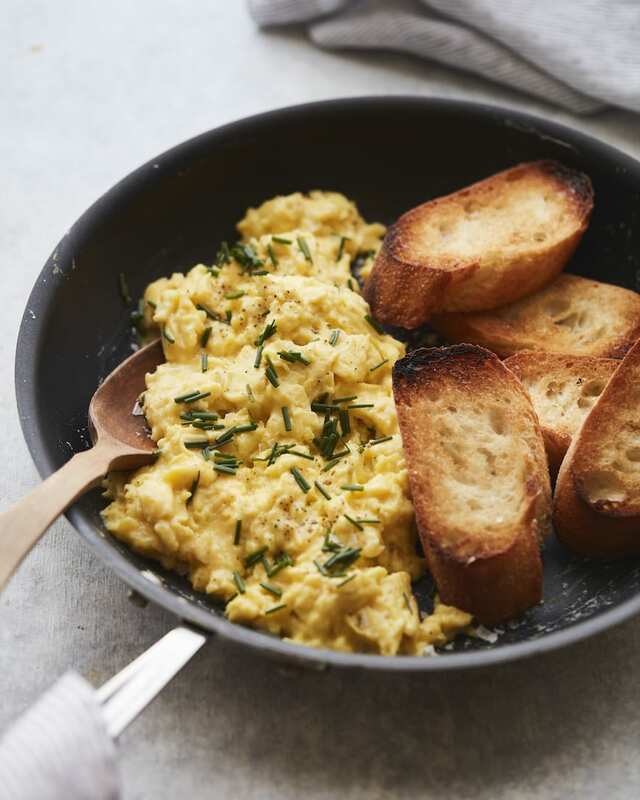 Now that you know ALL the tricks and tips…let’s make a soft scramble! And if you want a step by step video for the process: here you go! In a medium bowl, crack the eggs and whisk together. 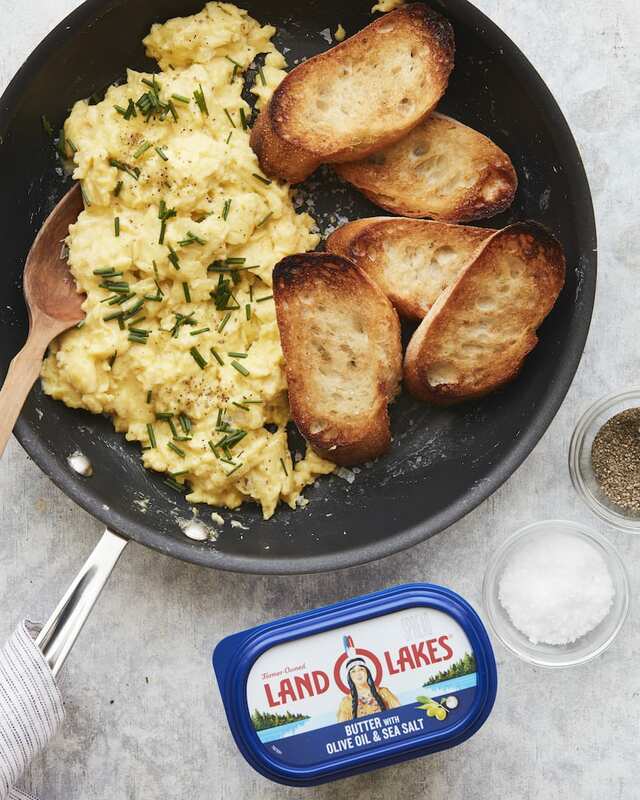 In a large non-stick skillet, add the Land O Lakes® Butter with Olive Oil and Sea Salt over medium low heat. Once it is bubbling, carefully pour the eggs into the hot pan and season with salt and pepper. Using a spatula, slowly drag it along the bottom of the pan allowing the eggs to cook slowly and evenly. Add the fontina while the eggs are still runny and continue to slowly cook. Once the eggs are cooked, season them with additional salt and pepper depending on your preferences and top with chives. Serve immediately. Can be served straight in the skillet. On top of toasted bread. 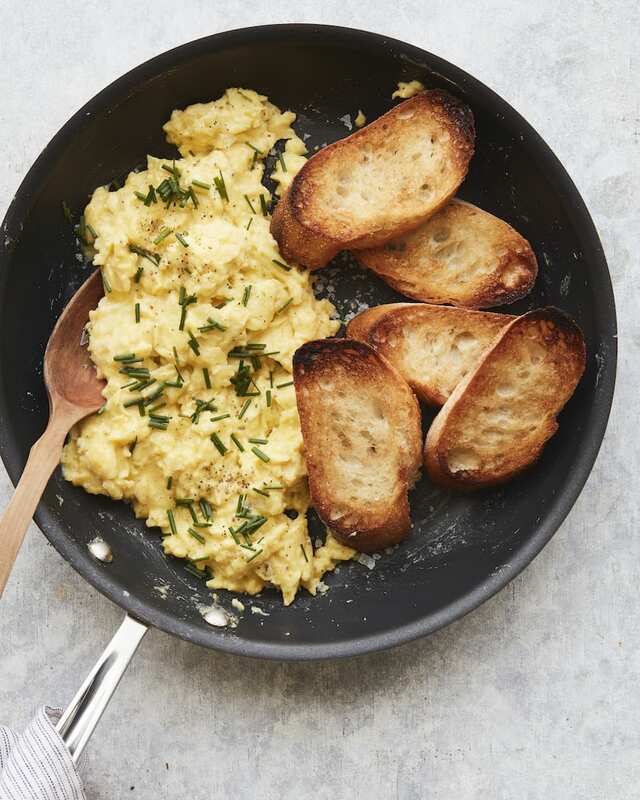 Over a bowl of roasted vegetables or however you prefer your eggs in the morning.